Sunbrella fabric door canopies that can be custom made from 3' wide to 8' wide in one inch increments to fit most any size and style door. 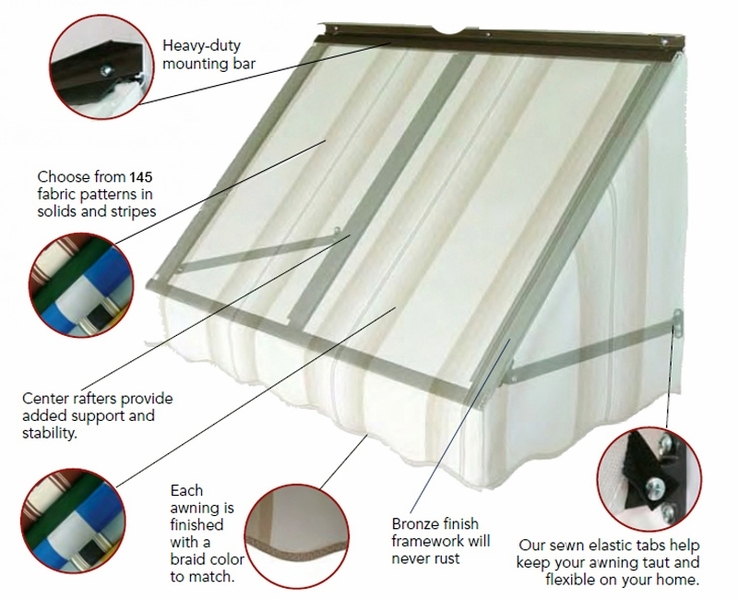 You will find these door canopies in a variety of awning projections that can be used for both in-swinging and out-swinging doors. 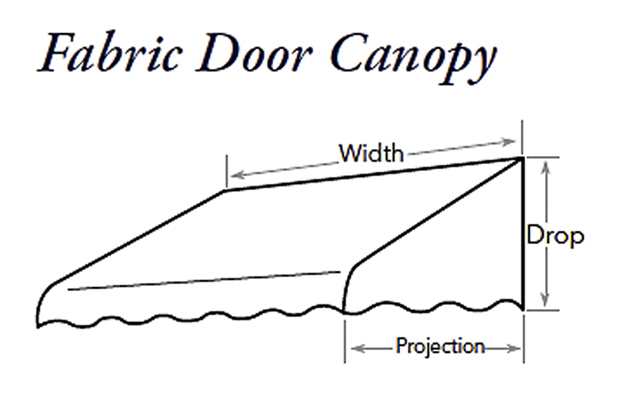 When ordering please make sure that your door canopy projection is greater than the width of your door especially if you have an out-swinging door. 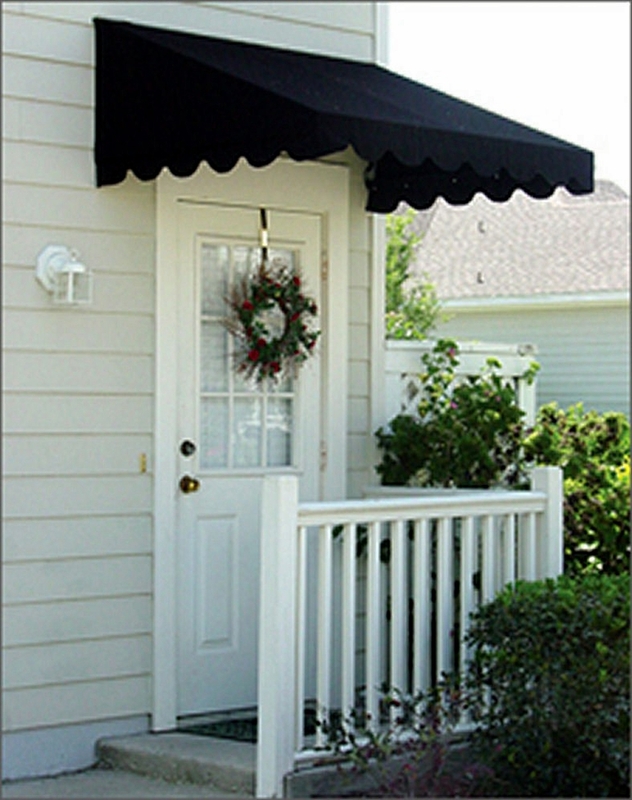 These door canopies are available in a number of different colors and patterns nearly 155 choices are available and can be tailored in a traditional or contemporary style by changing the look of the door canopy valance. A selection of color and patterns can be found at the Sunbrella Fabric Showroom located by clicking on the Sunbrella logo right above the Product Description area. Be sure to write down your desired Sunbrella Fabric Color and the Sunbrella Fabric Number and make that choice under either Item 4A or Item 4B in the selection area of this listing.